In some ways Impractical Jokers is very loosely similar to other shows before it in that it follows the hidden camera prank show format, but what sets it apart is that this time the joke is on the presenters, rather than the public. The format has four friends competing against each other in various challenges where they each have to perform an outlandish task set by the other three. 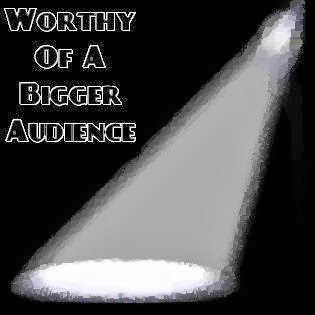 If you wimp out and don't do what you're told, or if you fail to achieve the goal of the challenge then you get a fail, and whoever ends the show with the most fails must then perform an embarrassing or humiliating act as a punishment. There's a great bond between the four jokers but that doesn't stop them from going all out to embarrass each other and in fact the friendship between the jokers only seems to make them more determined to set each other impossible and generally extremely funny tasks. For example when handing out free samples on a cheese counter in a supermarket, Sal has to ask shoppers a survey which starts off innocently enough with questions such as "Do you use cheese as a snack often?" Murray manages to pull off a seemingly impossible task. The other jokers then quickly crank up the embarrassment factor as the survey soon progresses to less conventional questions such as "Where do you get all that booty from?" To be fair, the customer is a good sport and replies, "From my mama," but he's even more surprised when Sal then has to ask, "I want to treat you right. Will you let me treat you right?" After a few moments of total confusion the dude taking the cheese survey shrugs and replies, "I guess so." 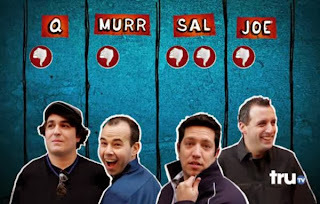 The only worry with Impractical Jokers is that as the show continues to become more and more popular, the Jokers are inevitably going to be recognised more often which might detract from the hilarity of some of the genuine reactions from the public, so in a way a part of me hopes it doesn't become too popular. But the good news is that for now there are already three seasons' worth of excellent episodes to watch which will have you crying with laughter. 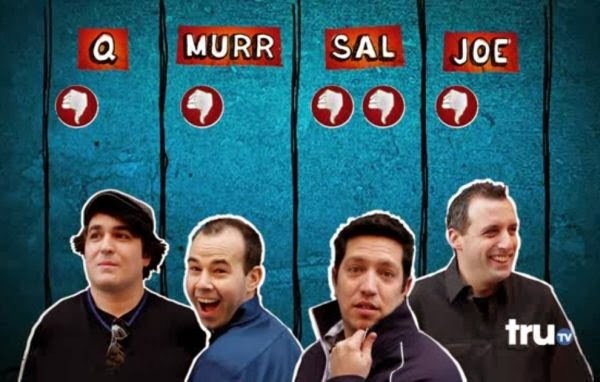 Impractical Jokers has developed a rapidly growing following in the US, so if you're a UK fan of daft but brilliant comedy and you're yet to discover the genius of Impractical Jokers then I can't recommend it highly enough. Please note, all promotional images used on this blog remain the copyright of the respective artists/publishers and are used in accordance with 'Fair Use' legislation for review purposes.